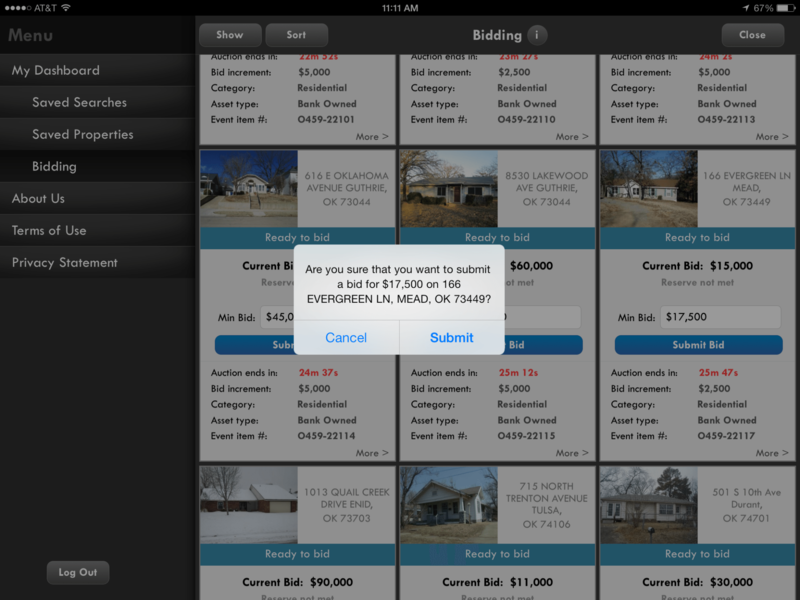 Online real estate marketplace Auction.com has debuted a mobile application for iPad tablets that lets users bid for homes on the go. Auction.com already had an iPad app that allowed users to monitor the progress of auctions, but the new one lets them actually participate in them, just as they may on a desktop. The firm created the app to meet demand from users, said Rick Sharga, executive vice president at Auction.com. 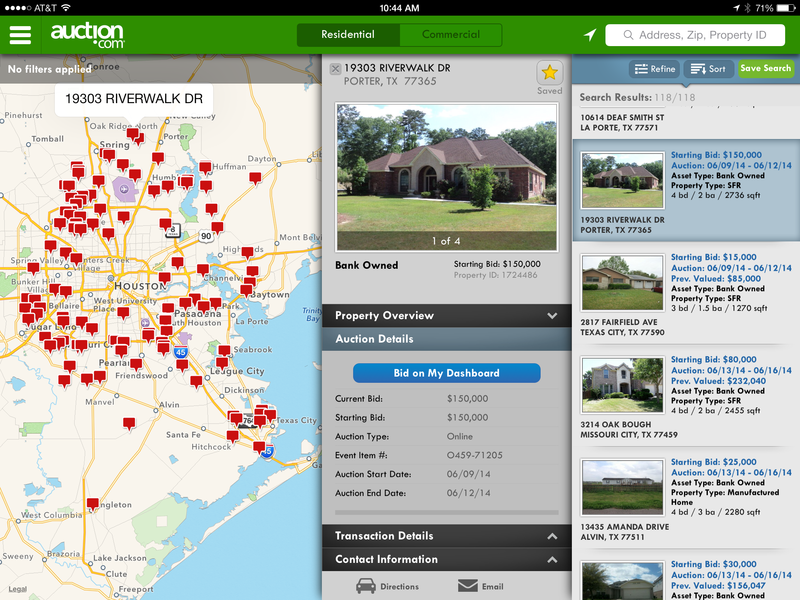 The app offers a map-based search tool that lets users search by location, property type, opening bid, size, age and financing options. Users may add properties and search criteria to personal dashboards that feature real-time auction updates and allow users to place bids. In a statement, Auction.com Chief Marketing Officer David Thompson said the new app was unique in the industry. “The most popular real estate websites are seeing huge increases in mobile traffic, but their applications only help buyers locate and compare properties,” he said. Auction.com is the largest online real estate dealer in the U.S., according to Bloomberg News. The firm claims to have facilitated the sale of 35,000 residential and commercial properties worth $7 billion last year. Google Capital recently blew a gust into the startup’s sails, when it invested $50 million in the firm. Since then, the site has been working with Google’s engineering department to iron out its mobile strategy, according to Sharga. Next up: an iPhone app that lets users place bids, Sharga said.